Rent a Black 2015 McLaren 650S Convertible — a 2-seater Supercar with a 3.8TT V8 engine, 641hp, and 516ft-lb of torque! The rare and stunning 2016 McLaren 650s combines several key elements of supercar stardom. Its performance, poise, and exotic styling are complemented by the sensory-pleasing attraction of driving a convertible in the Las Vegas desert.About 100 about of the McLaren coupes were manufactured. Its rarity as a rental supercar makes it further scarce.Nothing quite matches the McLaren looks. With its instantly recognizable stealth design, including the manufacturer’s signature mid-mounted engine, the 650S is as unique as any car in the supercar rental fleet. How beautiful is this car? The oversized, flowing-designed air intakes and wondrously curved headlights further added to the design dynamics.And, of course, the supremely detailed 650S exterior is enveloped in McLaren iconic orange, the same color as the 2018 McLaren 720S in the rental fleet.Handsome looks aside, driving the McLaren 650S is sure to please any performance aficionado’s desires. With its 641-horsepower, dual-clutch V8 and seven-speed automatic transmission, the two-seat supercar accelerates from 0-60 mph in 2.9 seconds. A standing quarter-mile in the rear-wheel-drive beast is achieved in 10.4 seconds. Top speed is 207 mph.How that performance is achieved is another McLaren marvel. The transmission operates as a traditional automatic if anything on a McLaren can be considered traditional. The steering wheel also includes paddle shifters. When Sport or Track modes are selected, shifting is appreciably quick. 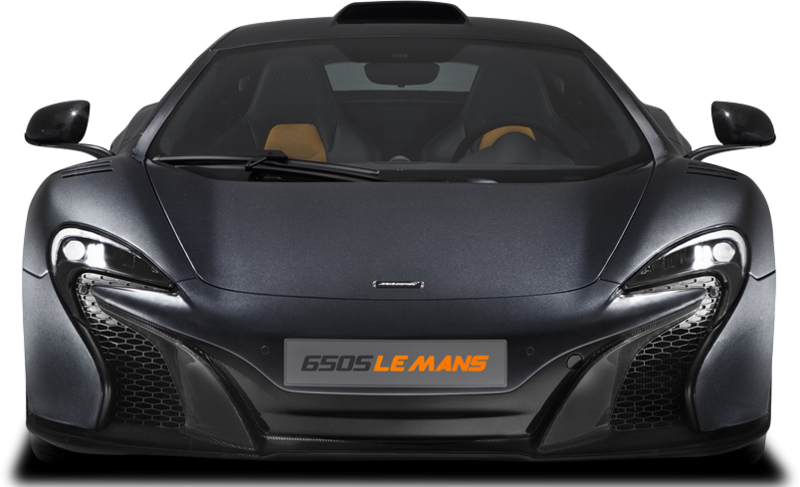 The exhaust note gnarl and throttle response are also further defining.The McLaren 650S is fitted with 20-inch spoke wheels that advance with impressive road absorption. There’s no doubt you’re in a supercar of supercars. But the smoothness of the ride is simultaneously reminiscent of an excursion in a mainstream, top-line luxury coupe. When conditions warrant, the two-piece, fully automated convertible top lowers or raises in 17 seconds the push of a button at while traveling as fast as 30 mph.Regardless of supercars fantasies, the 2016 McLaren 650S will fulfill your requirements. It may be the most fun you can have in an automobile.